DOD: 04 June 1931 "Kanimbla" Medlow Bath, N.S.W. Prevot is named in the 23 man Carlton Second Twenty squad that played East Melbourne. The South Bourke Standard (p3) lists the Hawthorn team to play Studley Park on Mr. King's paddock. The captain of Hawthorn is E. H. J. Prevot. Prevot is named in a Vice Captain's team squad that played a practice match against a Captain's team in Royal Park. 1876 May 24 Queen's Birthday. Prevot was named as an emergency for the Carlton game against Sandhurst/Bendigo played in Bendigo. Prevot played in the Carlton reserves side that played Albert Park at Royal Park. 1877 A splendid drop kick, has plenty of weight, but should make more use of it. "I have at all times been a staunch supporter of the Carlton Football Club, because I think they, guided by that indefatigable gentleman, Mr. Power, have done a great deal for Victorian football; but I must strongly protest against some recent conduct of theirs. it has always been the usual practice of the club on whose ground a match is played to appoint the central umpire, and as a general rule the system has worked well. This season, however, in several of the matches played, Carlton have insisted on forcing upon their opponents a gentleman, Mr. Prevot, to whom, rightly or wrongly, the opposing clubs have a strong objection. 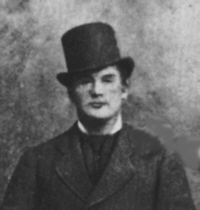 Hotham resisted his appointment; and Melbourne, but that a large concourse of spectators had assembled, would not have played; and again, in the Barwon match, the same gentleman was brought forward "as a protest," said a prominent Carlton supporter, "against the remarks in the papers about his umpiring." Now I have no hesitation in saying that anything more indecent than this persistent thrusting of Mr. Prevot upon other football clubs has never occurred in connection with football in Victoria. Most people in Mr. Prevot's position, on the slightest suggestion of an objection, would have absolutely declined to act. But he, not only knowing of the feeling against him, but having it distinctly brought under notice by formal protests, is thick-skinned enough to go into the field. Few people, I imagine, will be found to defend this conduct. But if his action shows a want of what every right-thinking person must denote as proper gentlemanly feeling, that of the club which thus persistently thrusts him upon reluctant opponents is very considerably worse. The Carlton club has never wanted at my hands a generous appreciation of its very fine play, which has enabled it to more than hold its own against all comers, and therefore I say at once that I do not for one moment think they have any other motive in their action than a generous though mistaken determination to support a staunch supporter of theirs against obloquy (strong public criticism). But the outside public are much more ready to call names, and they put nothing but the worst construction upon this insistence in forcing Mr. Prevot into all matches as umpire. No club, however powerful, can afford to remain under such suspicion, as this - a not unreasonable suspicion, I must admit - and the result will be that if further persisted in the Carlton Club will be sent Coventry. Probably now that they have asserted themselves, and supported Mr. Prevot against ill-repute, the Carltonites will consider their honor satisfied and drop him, but this will not remove the difficulty altogether, and it always be liable to crop up again. The remedy is for the various clubs to agree to allow the association to appoint the umpires at all the principal matches, and to ask that body to undertake the duty, which no doubt it will be very willing to do so." Edward Joseph "Ted" Prevot aged 75 passed away at his residence "Kanimbla" in the town of Medlow Bath, near Katoomba in the Blue Mountains N.S.W. E. Prevot was Carlton Secretary in 1880. The inside cover of the 1880 Carlton membership ticket lists E. H. J. Prevot as the club's secretary. Page last modified on Wednesday 09 of September, 2015 13:32:19 AEST by blueycarlton. 1981 2nd Semi - Footy Record Cover.